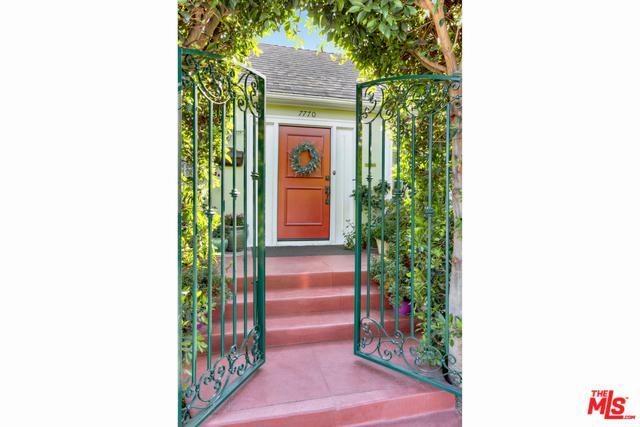 Come fall in love with this gated and very special 2+1 home w/separate studio & bath that's surrounded by a magical yard and garden. Experience the love that's been put into it while you're swept away by its character and beauty. Updated with today's modern touches while preserving its 100-year-old charm. 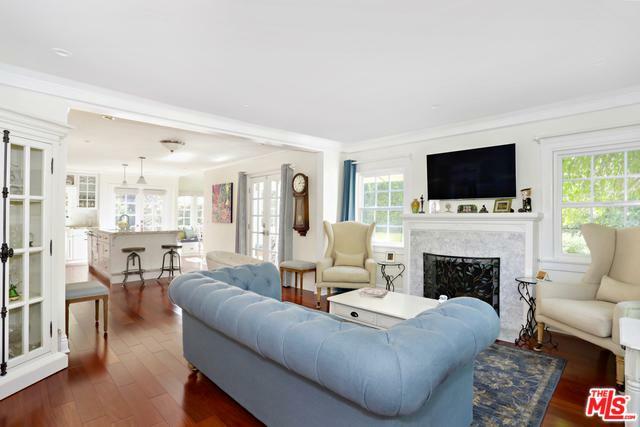 Enjoy a cozy LR with hardwood floors and fireplace to gather around. It leads to a lovely deck. Cook's kitchen w/large island & dining area is surrounded by windows. 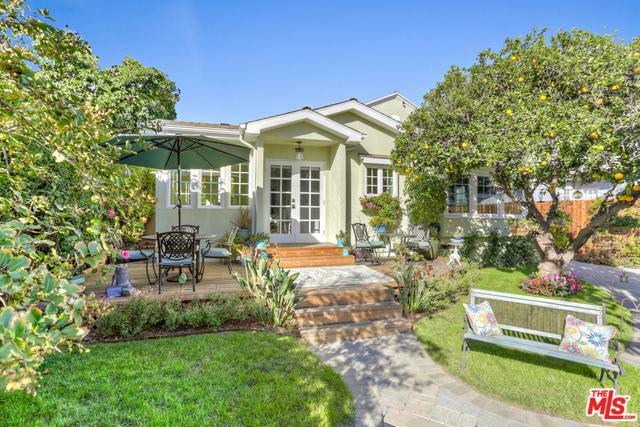 Enjoy the picturesque yard where you'll enjoy the vibrant flowers, the bountiful orange tree, lush foliage & multiple seating areas, creating a wonderful sanctuary. Bedrooms have great windows to allow the sunshine in. Main bath has a custom stained glass window, perfectly selected tiles & vanity. To add to this already idyllic property is a large studio with bath. The once 1 car garage makes for a great home office or home gym. Just minutes from Whole Foods,Melrose Pl Farmers Market, shops offering a walk-score of 91! 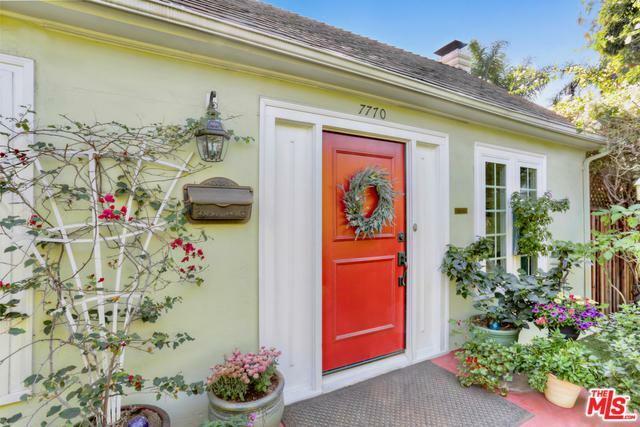 Listing provided courtesy of George Moreno of Keller Williams Realty Los Feliz.